Based in Corby, Northamptonshire, Caswell Adhesives has spent over a century supplying many varied industries with quality adhesive solutions. Our central location ensures we have a supply chain which allows us to swiftly support and service our markets, providing exceptional response time and rapid turnarounds. Established in London in 1890, we remain a family-owned business to this day – a quality which is prevalent in our customer approach and essential to shaping our processes. We treat all clients individually, catering for every need, striving to go above and beyond expectations. Renowned for our ability to produce bespoke glues and adhesives, we work closely with clients to produce the optimum adhesion every time. We are committed to quality assurance and were one of the first adhesive manufacturers to register to ISO 9001. 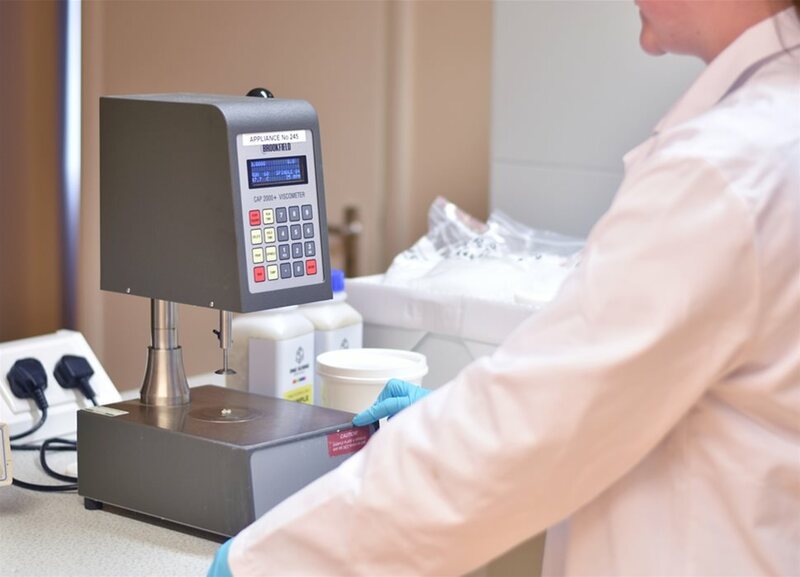 Every batch of adhesive produced is tested before despatch and samples are retained to ensure complete traceability of all manufactured products. Our ability to define operation requirements and overcome complicated bonding problems has enhanced our reputation as the leading independent adhesives manufacturer in the UK. We ensure compliance with relevant industry standards and accreditations and are proud, active members of a number of specialist market organisations. We have policies in place to protect our clients, suppliers, our team and community. Our vibrant history has moulded Caswell into the market-leading company we are today. "Caswell’s technical expertise and customer’s service are truly giving us a total piece of mind." "The low VOC adhesives offered by Caswell Adhesives allow us to maintain a comfortable working environment, void of any nasty solvent or resin scent, without compromising the performance and adhesive properties needed to make our hardy Goodyear welted shoemaking constructions." "We have been working with Caswell Adhesives as a preferred supplier for a number of years. During this time the service we have received from the Caswell team has been exemplary. All concerned are continuously working towards improving their product to meet our demands and provide us with an adhesive that meets all the necessary requirements and beyond!" "We have worked with Caswell Adhesives on a couple of development projects. Their R&D facility and the staff that drive these technical projects are first class."